Guests of Nature and History. Strength, protection, privacy are the features that gives character to Torre Mozza. It is a place that excites and grants dreams; a noble and romantic escape for those who love beauty. The fortified structure has three major features: the sixteenth-century watchtower, right by the sea; the buildings that look out onto the land were built later, and made the tower habitable , the tower commissioned by the historic Appiani family of Piombino in the sixteenth century to monitor the transport and unloading of minerals from the nearby island of Elba. 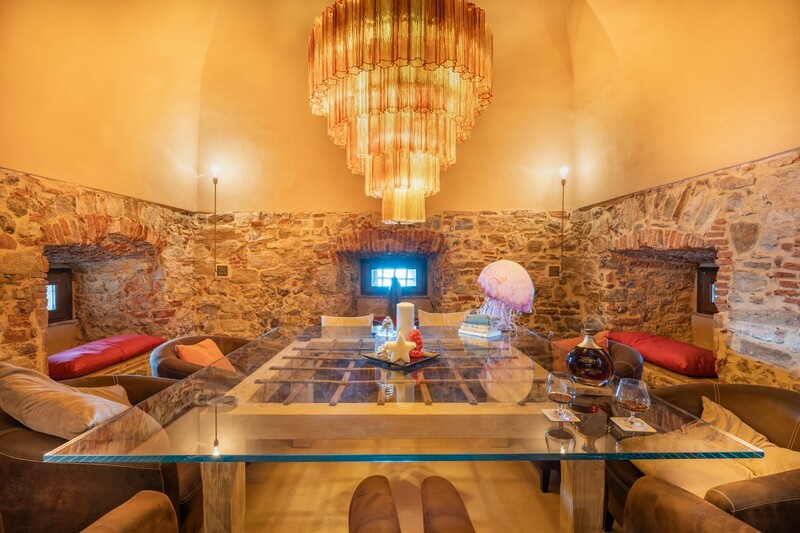 Today it is a small exclusive hotel with 8 suites that offer the most authentic luxury: to enjoy an extraordinary place where one feels and breathes the Tuscan land and sea. These scents become genuine flavors in the Torre Mozza restaurant, where the Tuscan cuisine tells of its strong identity with refined dishes. Location mozzafiato. Possibilità di affittare lettino e ombrellone e godersi, se si ama il pesce, un’ottimo pranzo al ristorante, con vista mare, ovviamente. Consiglio la prenotazione! È un incanto. Impossibile descrivere a parole ciò che hanno visto i miei occhi dalla terrazza della mia stanza, che era proprio in cima alla torre.